July update - Another great month! | love bug foundation inc.
July update - Another great month! We want to open by thanking all of our supporters for making July one of our best months yet. During the past month we had a very generous donation from the Williams family of Fayetteville and many other donations from members of our community. 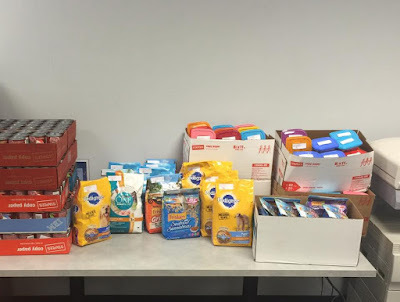 One of our very first supporters, the Rayborn family, continues to provide food for some of our geriatric fur babies with very specific dietary needs. 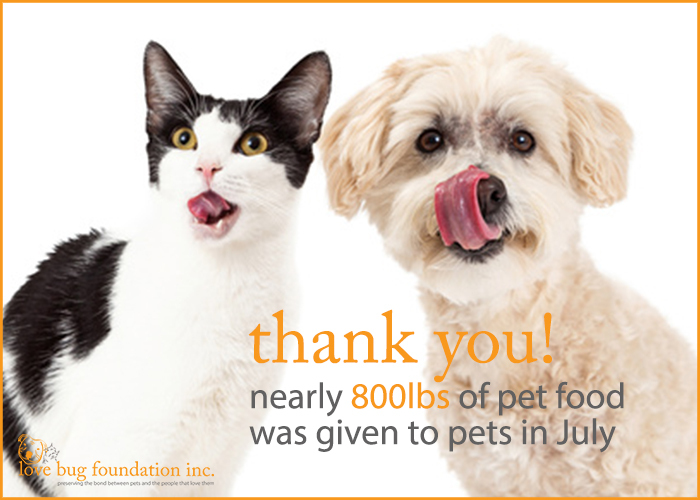 Because of the generosity of our supporters we were able to distribute our highest volume of food every - nearly 800lbs of dog and cat food. For the record that's a lot of lifting, shifting and repackaging going on there :-). A few other updates for the month . . .
New board member - Stay tuned for an upcoming announcement about a new board member who will be joining us. We are all very excited and cannot wait to make the announcement. Amazon Prime Day (July 15) - Amazon is celebrating it's birthday on July 15. If you plan on doing some shopping, remember to shop at smile.amazon.com after selecting the love bug foundation as your charity. Amazon will donate a small portion of your total order value to us. It's an easy way to help as you're taking advantage of the Amazon sales. August deadline - The deadline to apply for our August food distribution is August 7. Please make sure to call or email us to reapply or to apply for the first time. Again, thank you all so much for making it possible for us to achieve our mission.